3 Lessons in Social Media and Personal Branding - Bottom Line Underwriters, Inc. 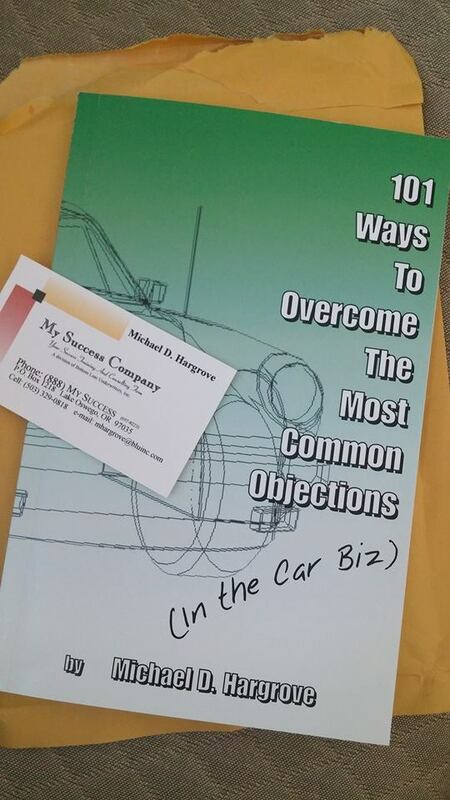 I began marketing myself in March 2011, my first month selling cars. I created my own website and eventually wrote nearly 400 blog posts, filmed and uploaded more than 200 videos, and sent 6,000+ tweets. But after three years of branding myself as Laura Toyota, some press ruffled the feathers of another dealer, and Toyota asked that I change names. I did, and here’s what I learned. After I made the announcement that I would be transitioning to LauraDrives.com and changing the names of all my social media channels, I sat back in my chair overwhelmed by dread. Would I loose my following? Will people know how to find me? Do I even have the energy to rebuild my brand? An amazing thing happened: very few people cared. My followers seemed much more familiar with me and my face than with the ‘Toyota’ piece of my name, which, scientifically speaking, makes sense. Susan Weinschenk, PhD, says that humans are born with “a special part of the brain whose sole purpose is to recognize faces.” This area helps our brains identify faces more quickly than objects, and is also located near the brain’s emotional center. This brain function helps faces create a powerful reaction in the brain, and makes us hard wired to use the human face as a centralized point for information and recognition. The lesson? The power of the human face (via images and video) in the digital world is the most compelling way we can grow our message and relationships. Names are, at the very most, secondary. 2) We are all storytellers. For over 27,000 years, since the first cave paintings were discovered, telling stories has been one of our most fundamental communication methods. Stories help us understand the world. Storytelling is truly the most relatable and persuasive skill we can command to connect with our customers. I seemed to do a good enough job telling a story that people wanted to follow me. They chose to make sure they were on board for the move. The lesson? Regardless of the obstacle, if you provide value, if your connections believe in your story and want to hear more, they will follow you. 3) It is imperative to connect with people who will inspire and support you. Social support is one of the best anecdotes for stress, and is one of the most important factors in mental and emotional health. Having an online network of people in the car business was what I have felt most grateful for in my adventure in personal branding. A network of people can bring: a source for positivity and encouragement, a library to learn from, and more voices to spread your message. So get out and connect! It’s not hard to find the game changers; they are out there making noise. I formed relationships with sales trainers, motivational speakers, other car salesmen, dealers, and vendors—people who understood my industry. The lesson? Connect and create relationships with people who can bring you greater positivity and support. These people will be invaluable—and hopefully be people to whom you can return the favor. © 2013 Laura Madison, all rights reserved. Laura Madison is the National Director of Sales for Alan Ram’s Proactive Training Solutions. She is a former a car salesperson best known for her use of social media and personal branding. Laura has been featured in Automotive News, Advertising Age and Edmunds.com for her unique marketing and self-promotion efforts. She can be reached at LauraDrives.com or at 1-866-996-4665.